From what I’ve seen in reviews and heard from friends and acquaintances, Metal Gear Solid V is an amazing game. The hype for this classic franchise is back, despite Konami’s recent controversies. One fan has released ‘Outer Heaven’, a recreation of the original Metal Gear action game from 1987. As with the original, you play as a young rookie, Solid Snake, who has been thrown into a mission to rescue a missing Grey Fox member and to eradicate the rumoured Metal Gear weapon. Whether the release of MGS5 was the inspiration for this retro inspired title or not, it’s still pretty damn cool. 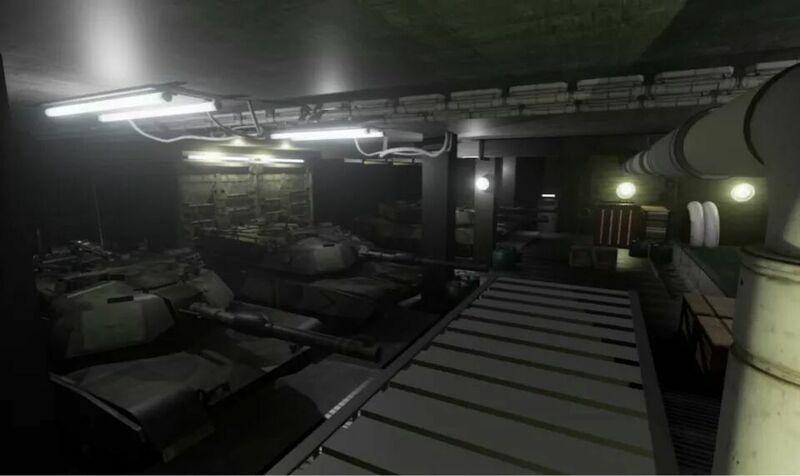 This remake features a 3rd person perspective developed using the Unreal 4 Engine, rather than the top down format used in past Metal Gear games. Should the game escape any legal backlash from Konami, it should initially be available for Windows. You can check out more screenshots over at the developer’s IndieDB page. In 2013 a ROM board was discovered which contained a prototype of System 3’s Putty Squad for the SEGA Mega Drive. This version of the game never received an official release, but the owner of the prototype has dumped the ROM image available for all to enjoy. More on this game can be found on the forum thread at SEGA-16.com, where you can read up about its progress and find hints of where you can get the ROM. Initially the only platform to get Putty Squad back in the day was the SNES, though it was planned to be available on Mega Drive, PC and Amiga. Eventually System 3 released the Amiga version of Putty Squad on Christmas Day in 2013. 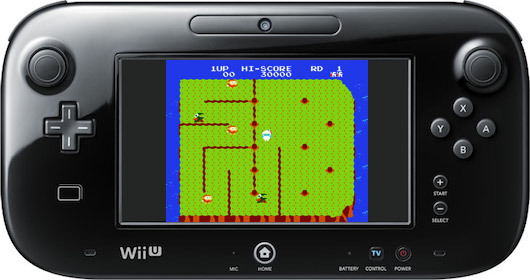 Pigs must be flying as there are ‘new’ Virtual Console releases coming to the Wii U and 3DS eShops today! On the Wii U eShop you should see Mario Golf on Nintendo 64, Pac-Man 2: The New Adventures and Dig Dug II on NES as well as Pocky & Rocky with Becky on Game Boy Advance. On the 3DS Sonic the Hedgehog 2 is now available as the latest SEGA 3D Classic title. If that’s not enough SEGA loving then brace yourself, as there will be a new Game Gear theme coming to a 3DS near you. The ETA on this theme is simply ‘soon’ though it would have made sense if it came out on the 6th of October, as that would have been just in time for the console’s 25th Anniversary. Finally for this week, Jaleco’s Buta San drops on to the Australian and European PlayStation 4 stores. 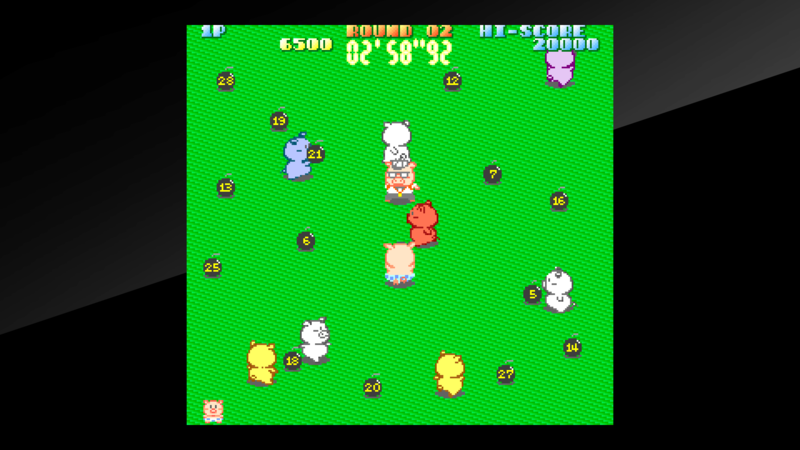 This is a top down game in which you play as a pig, Buta San, who has to lob bombs at other pigs to clear each stage. (The game was released on home computers as ‘Psycho Pigs UXB’ – Paul). Think of it as a chaotic Bomberman clone but with pigs and open stages. Buta San debuted in the arcades in 1987 and is the latest game to join the Arcade Archives series and you can grab it right now.